Being one of the UK’s leading media brands means Virgin Media are always expanding their brick and mortar stores. They currently have 1,200 employees and 150 retail outlets in the UK, but with this comes the problem of modernising in-store services, keeping their stores innovative, and staying relevant to the ever-changing expectations of today’s customer. They were looking for tools to provide their staff with which would speed up day to day operations, provide operational visibility, help staff understand the company’s fast-changing products and services, and improve their overall business knowledge, ultimately improving customer experience. Eve was created on top of Oplift Engage to streamline communications, make them easily accessible, improve store routine efficiency and improve staff’s overall business knowledge. Before their digital transformation Virgin Media had paper checklists with some taking as long as four hours to complete, with the Oplift Engage app this was reduced down to 45 minutes. With 150 retail outlets across the UK, regional management can become difficult. Virgin Media needed a solution which would streamline the process, reduce time spent doing admin and more time with staff. 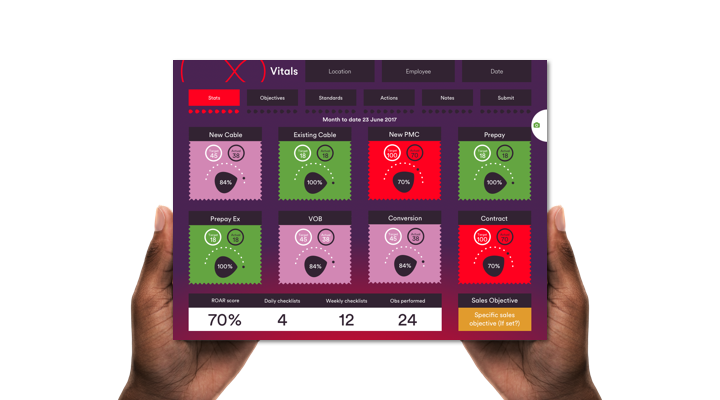 We created the Vitals app for regional managers, allowing them to quickly view store figures, past and present information and produce reports on the spot. The improvements they noticed were consistency, productivity and store performance. Huddle was created to deliver VM’s operational excellence strategy. Designed for stores and head office to easily report on store performance and operational issues. 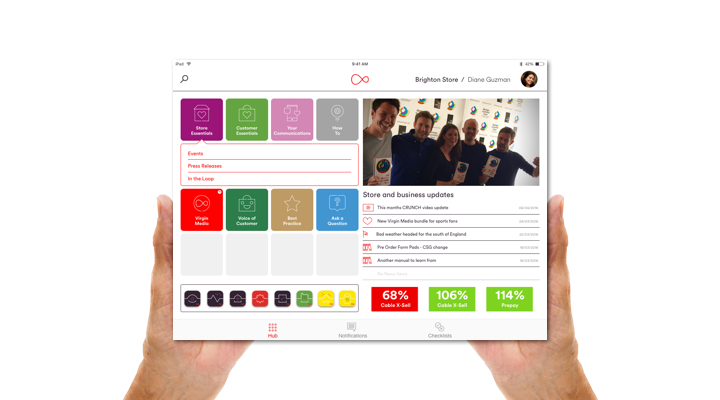 The sliding ‘vibe’ bar allows them to quickly give a rating on key areas and set actions to get any issues resolved, with their goal to improve customer perception, compliance and ultimately boost sales. Progression and development is incredibly important to Virgin Media. They routinely carry out performance reviews, however the process was disjointed, making it was lengthy and time consuming. VOBserve was created so that managers could carry out assessments and training right on the shop floor, making the process slick and easy. 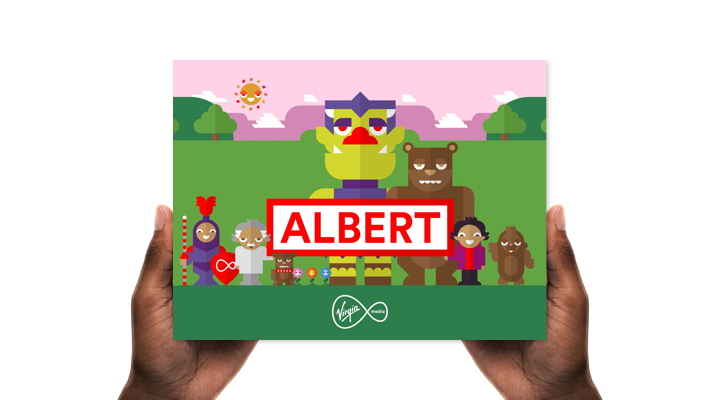 Albert is Virgin Media’s e-learning hero, his game’s include: Whack-a-mole, Catapult Castle, Albert’s lab, and his very own buzz quiz show. Designed to boost staff knowledge, using data captured from each game played he’ll show questions where staff scored poorly in. This allows those weaker questions to be repeated. Virgin Media saw an increase of 7.4% in knowledge ratings from customers, along with an increase of 13% in sales in just 6 months! 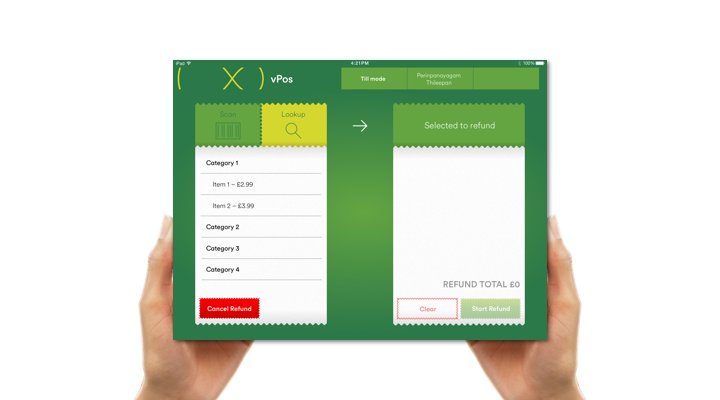 vPos is Virgin Media’s till system, replacing a clunky terminal based desktop website with a snappy iPad app available on each sales exec’s personal device. Taking the sales to the shop floor, vPos allows staff to sit with their customers instead of running back and forth to fixed sale points. Removing the need for these bulky sales counters means Virgin Media are refitting their stores to open up more space on the sales floor. Time saved – We reduced the time it took to do their workplace checklists by 80%. Cost savings – They saved over £1 million in system cost reductions. Increased sales – They saw a 13% increase in sales in just 6 months. Reduced staff turnover – Through staff surveys, they found that 76.7% of staff wanted to progress into another role. Satisfied customers – Customer satisfaction rates increased by 7.4% in just three months. More space – New store designs without clunky desktop PCs, meant Virgin Media saw a 20% increase in floor space. Improved employee engagement – 65% of employees play Albert in their own time and 97.5% like or love playing Albert. "Fantastic way to improve product knowledge. Two thumbs-up. It’s a great learning and development/sales tool which deserves wider acclaim." The project has crowned us; Best use of technology in learning at the 2017 Engage Awards, Best customer service programme at the 2017 TJ Awards, Technology Project of the Year and Overall Winner of the 2016 Retail Systems Awards, Silver Award at the 2015 UK App Design Awards.